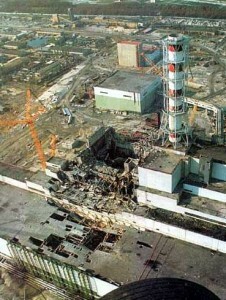 By Jo: Twenty six years ago a Chernobyl power plant exploded. Three hundred times the radiation of Hiroshima was released and blown across Europe and beyond. About half a million people in Belarus were forced to leave their homes, never to return. This was a disaster on an international scale which over the last twenty six years slowly left our memories. A D.V.D. was shown which illustrated the fact that the challenge of the disaster is not a thing of the past but is still with us today. Julie and Mags are members of the “Chernobyl Children’s Project (U.K.)”. The project, launched in 1995, brought children to the U.K. for recuperative holidays. C.C.P. also assists with projects in Belarus. Belarus is extremely poor and help is given in many aspects of childcare. The aid comes from all over the most prosperous areas of Europe. Childrens’ homes, hospice and respite care are given as are educational assistance and toys. Still today, twenty six years later, babies are born with damaged immune systems, kidney and heart failure. By the age of four, children can develop thyroid problems including cancer. Experts agree that this is a problem that is not going away and will be with the people for many years. Four weeks of fresh air and uncontaminated food is one of the best ways the young children and their mothers can be helped. Mags and Julie are now in the process of organising this July’s visit of a party of young children. A meeting will be held in Glossop during February and the accommodation, outings and fun will be organised. After the talk, Glossopdale’s W.I. will be involved in some way, organising an event for the children that for many of us have been forgotten.